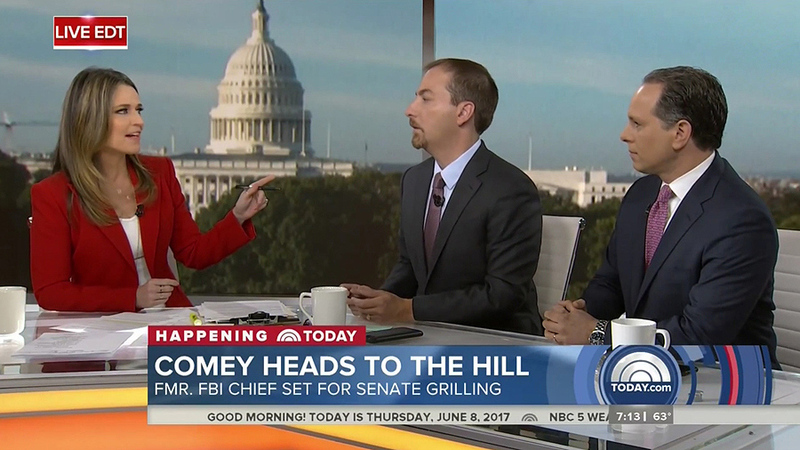 NBC News took the opportunity of a big week in Washington to relaunch one of its Capitol Hill bureau studios, following a previous update in January. The space, known as Studio N5, is the larger of NBC’s studios at 400 North Capitol Street Northwest, both of which saw updates in past six months. 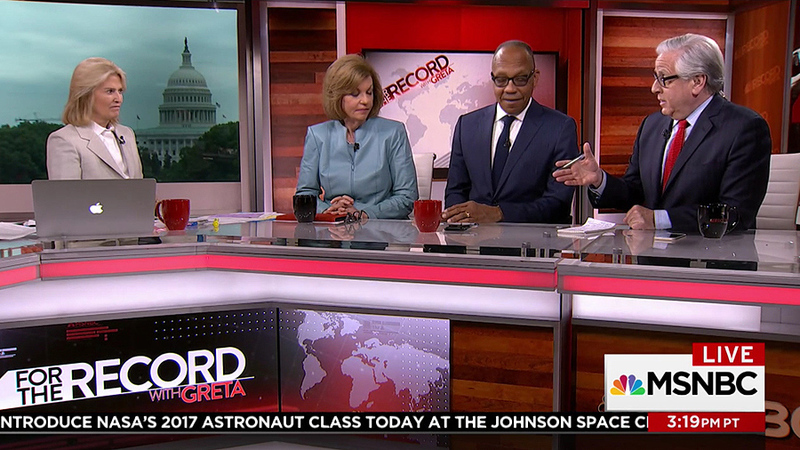 Primarily used by Greta Van Susteren’s “For the Record” on MSNBC, the studio’s scenery was redone to add flexibility for multiple broadcasts. The previous desk, which includes backlit sections and a monitor front, remains. The sets walls now include 1.6mm LED displays, with the two center LED wall sections tracking to reveal the window overlooking the U.S. Capitol dome. Previously, the space featured a window day or night, rain or shine. Jack Morton PDG, the original designer also worked with NBC on the update. 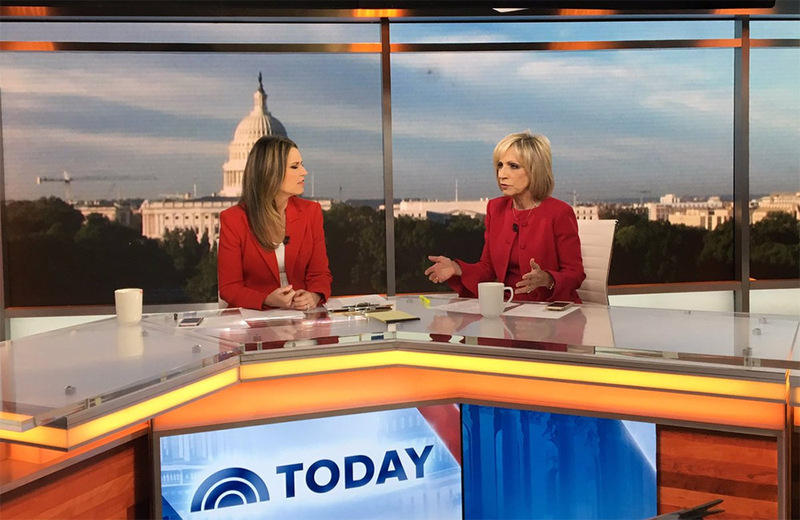 During “Today’s” broadcast from Washington on Thursday, the LED panels were used to project a wrap-around view of the Capitol, while on Greta’s show the window was used.